Are you looking to join a friendly group practicing a traditional martial art? People join for all kinds of reasons, to have confidence, to get fit, to develop a positive attitude, to attempt a personal challenge… Whatever the reason for starting you’ll find karate has much more to offer, both physically and mentally, than conventional sports and exercise. Fun, fast and safe activities are emphasized for the junior group so young people can learn karate through building body confidence, concentration and self-discipline. For adults, we recognize that everyone has a different build and you will learn skills and techniques to manage your physique and create a relaxed yet powerful body. You don’t have to be fit to start, we have no expectations of beginners’ levels of fitness. We are careful to allow each person to work at their own level of capability and slowly build up from there. For taster sessions turn up in a t-shirt and comfortable trousers, and bring a drink. The club a non-profit making organization, financed by the members for the members, and instructors freely share their skills and enjoyment of karate. The club is part of the Karate-Do Shotokai organization headed by Master Harada Sensei MBE who trained under the direct supervision of Gichin Funakoshi the original founder of karate-do. 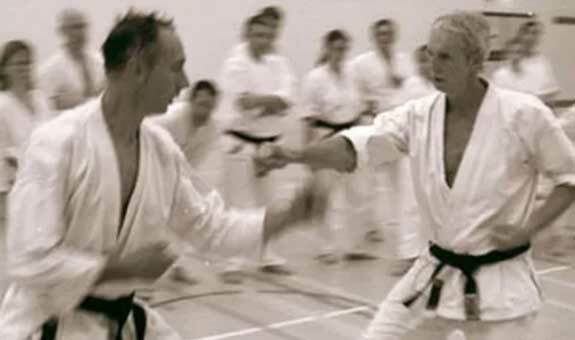 Instructors are DBS checked, qualified in 1st Aid, full members of Sports Coach UK and all train regularly with Master Harada through courses run by the club network. Karate is open to everyone at any stage of their lives – come and join in and be part of a unique heritage.